All over the world, people love coffee and consumption is increasing globally. Production, marketing and habits of coffee consumption has changed significantly over time. Once, coffee was a simple commodity that consumers drank out of habit in the morning to wake up. Today, coffee is considered a high-quality, product with various existing preparation methods and individual consumptions styles. According to the International Coffee Organization (ICO), three characteristics of coffee affect consumer attitudes towards coffee: the health effect, the drinking pleasure and the sustainability of the production. The leading future drivers in coffee business lie in the diversification of high-quality coffee beverages (e.g. specialty or ready-to-drink), and of innovative away-from-home consumption styles (Euromonitor, 2018; NCA, 2017). World coffee consumption is estimated at 165.19 million bags (2018/2019), which means an increase of 2.1% compared to 2017/2018. 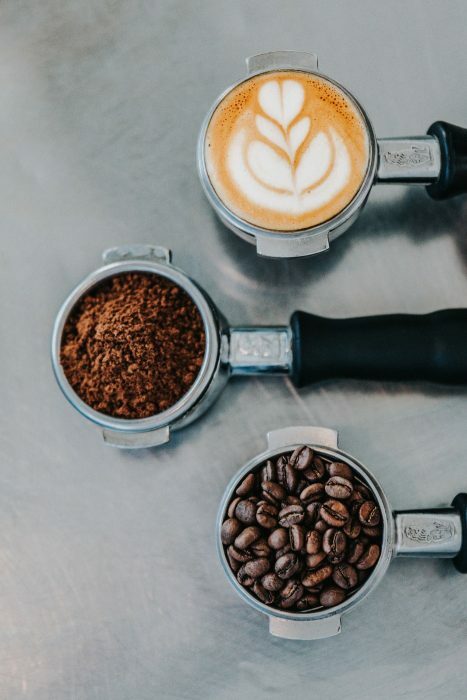 Europe is the biggest coffee importer with 53 million 60-kg bags in 2018, followed by North America with 30 million 60-kg bags. Consumption in these traditional markets is expected to grow about 1% in Europe and by 2.5% in North America. 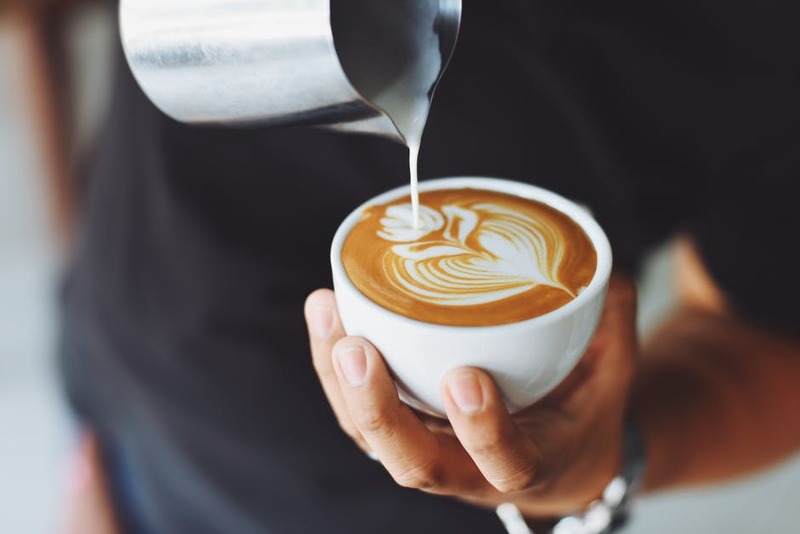 Coffee demand increases especially in non-traditional importing countries: Africa and Asia & Oceania are expected to increase consumption by 4.1% in 2018/2019 (ICO, December 2018). On the other end of the supply chain stands Brazil as the world’s largest coffee producer (estimated 61.7 million bags in 2018/19). Vietnam is the second largest coffee producing country (29.5 million bags in 2018/19), followed by Colombia, Indonesia, and Ethiopia (ICO, December 2018). Focusing on what countries have the highest per-capita amount of coffee consumption, people may consider Italy, because of the coffee tradition and quality, or the USA, because of the specialty coffee market innovations. However, Scandinavian countries plus the Netherlands are the top 6 countries in the global ranking of 25 coffee consuming countries. Finland has the highest per-capita coffee consumption with 12.0 kg per person/year. Italy ranks 13thwith 5.9 kg per person/year and the USA is on the last position with 4.2 kg of coffee per person/year (worldatlass.com, January 5, 2018; Tchibo, 2018). Various motives and preferences determine why and how consumers drink coffee. Drinking or not drinking coffee is motivated particularly by personal preferences. Economic factors play a limited role. Coffee attributes like sustainability labeling, country of origin, coffee types and qualities, and extrinsic attributes like brands and packaging influence the consumption and purchasing behavior of consumers. Another decisive influencer for coffee consumption is the context of consumption, which means the location, the occasion, the socializing possibilities, and the lifestyle aspect of coffee drinking. Taste and functional motives are the two leading factors that motivate consumers to drink coffee. The liking of coffee taste and smell is one of the key motives for consumers to drink coffee. Similarly, not liking the taste is the main reason why non-coffee drinkers do not consume coffee. The taste leads to a positive drinking experience with feelings of pleasure and comfort. Functional motivation is the other key motive for coffee consumption. The objective of functionally motivated coffee drinkers is to get energized, to wake up, to improve work performance and to be productive. Habit means drinking coffee as a daily routine. Some studies identified habit as one of the main motivational factors for coffee drinking. Habit is related to the aspects of tradition and culture that determine individual coffee consumption behavior. In countries with a long coffee tradition like Italy, the influence of the cultural background, the family, and the habits on personal consumption behavior is strong. The consumers’ beliefs in health benefits or risks of coffee consumption impact on the frequency and quantity of coffee consumed. A study by the Institute for Scientific Information on Coffee (ISIC, 2016) revealed that nearly 50% of interviewed consumers believed that coffee is bad for health. Some consumers avoid coffee for medical reasons, like anxiety and insomnia. Other consumers drink coffee for its anti-migraine effect. Coffee drinking has a social value. Coffee can be drunk because it creates the opportunity to socialize and share a moment of pleasure with family, friends and colleagues. Coffee is therefore also important in the work environment. Here, drinking coffee has a “break function” that allows taking a break from work and improves social interaction with colleagues in the workplace. Many consumers consider coffee consumption as a lifestyle experience. For these consumers, coffee represents more than just a beverage they drink out of habit or to wake up. Coffee drinking represents a cultural experience and allows to show social status and to be seen as modern, fashionable or Western. The latter factor is important in Asia, where coffee is still a novel product, but with a fast-growing market. Consumers consider coffee as a luxury product, that has to be celebrated (NCA, 2017) and can be consumed in coffeehouses that give the feeling of being at home and in a creative environment. Sustainability, fair trade and organic labeling are the most-studied issues of consumer behavior research towards coffee. Considering recent trends towards specialty coffees, attributes like the country of origin and intrinsic quality characteristics will play an increasing role in coffee consumption. More details on drivers and barriers of coffee consumption can be found in the research article Samoggia, A. & Riedel, B. (2018): Coffee consumption and purchasing behavior review: Insights for further research, Appetite 129, 70-81. The paper presents results of a systematic literature review of relevant studies on the motives and characteristics of consumers coffee purchasing and consumption behavior. These findings are described in the article entitled Coffee consumption and purchasing behaviour review: Insights for further research, recently published in the journal Appetite (Appetite 129 (2018) 70-81). This work was conducted by Antonella Samoggia and Bettina Riedel from the University of Bologna. Euromonitor International (2018): Cold Brew Coffee: At the Coffee Shop, at Home and on the Go. London. International Coffee Organization (ICO) (2018, December): Coffee Market Report. London. National Coffee Association (NCA) (2017): NCA National Coffee Drinking Trends Report 2017. New York. Tchibo (Ed.) (2018): Kaffee in Zahlen. Hamburg. Antonella is an assistant professor in the Department of Agricultural and Food Sciences at the University of Bologna. Bettina is affiliated with the University of Bologna.